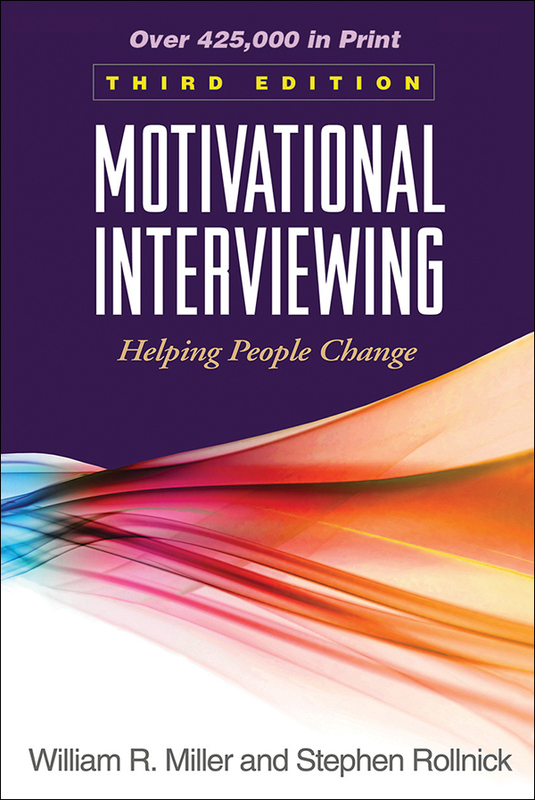 This bestselling work for professionals and students is the authoritative presentation of motivational interviewing (MI), the powerful approach to facilitating change. The book elucidates the four processes of MI—engaging, focusing, evoking, and planning—and vividly demonstrates what they look like in action. A wealth of vignettes and interview examples illustrate the "dos and don'ts" of successful implementation in diverse contexts. Highly accessible, the book is infused with respect and compassion for clients. The companion Web page provides additional helpful resources, including reflection questions, an extended bibliography, and annotated case material. Reflects major advances in understanding and teaching MI. Fully restructured around the new four-process model. Additional case examples and counseling situations. Reviews the growing evidence base and covers ways to assess MI fidelity. Online reflection questions and annotated cases, ideal for classroom discussion. Key points at the end of each chapter. Engaging boxes with special topics and personal reflections. Extended bibliography and quick-reference glossary. Note: A related 2-DVD set illustrating MI in action is available from The Change Companies.